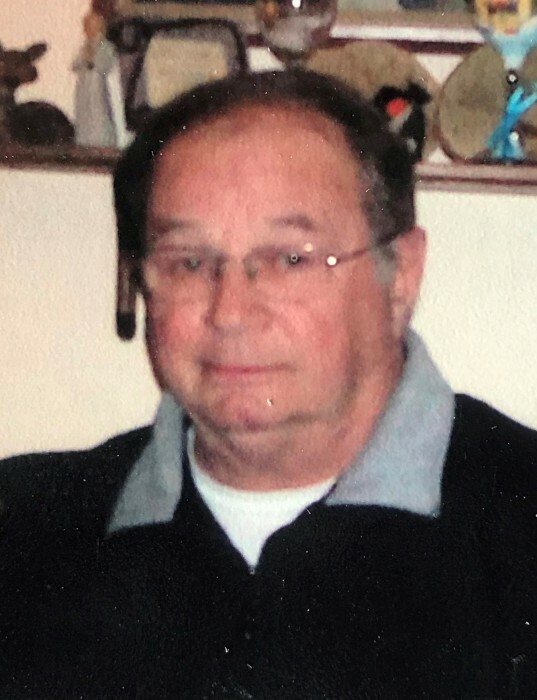 Obituary for James E. Magnani | Buechele Funeral Home and Cremation Services, Inc.
James E. “Jim” Magnani, 78, of Bradys Bend died Friday, April 5, 2019 at Butler Memorial Hospital. Born February 24, 1941 in Madison Twp., Clarion Co., he was the son of Joseph E. and Valerie (Dietz) Magnani. On November 18, 1963, Jim married the former Sharon L. Gray, she survives. Jim worked for Tony Thompson’s Scrap Yard for 2 years, the Rex Hide in East Brady for 13 years, Magnus Garage in Curlsville for 2 years and retired from Ervin Industries in East Butler after 30 years. Jim was a member of St. Patrick Roman Catholic Church in Bradys Bend. Jim enjoyed hunting, fishing, attending muzzleloader shoots, running Beagles at the Hilltop Beagle Club and having a great time with family and friends. Surviving is his wife Sherry Magnani of Bradys Bend, 1 daughter; Christine and husband Ken Hoffman of Mercer, 1 sister; Mary and husband Jeff Miller of East Brady, and 1 brother; Tom and wife Marilynn Magnani of East Brady. He is also survived by 2 granddaughters; Jassa and Linsey Yost, 3 grandsons; Garrett Shiemke, Levi Jack, Jaxon Magnani, 1 special family friend; Libby Jack, 5 nieces and 1 nephew. Jim was preceded in death by his parents and 1 son; Jan Magnani. A Mass of Christian Burial will be celebrated at 10:00 AM Wednesday, April 10, 2019 at St. Patrick Roman Catholic Church with Rev. John Butler officiating. Burial in St. Mary’s Cemetery will follow. The Magnani family would like to thank the VNA and Butler Hospital nurses for all the care they provided Jim. Your kindness will never be forgotten.